The perfect size for reading everyday and everywhere, this Pocket New Jerusalem Bible is a clear and engaging translation. Looking to try a different Bible translation? 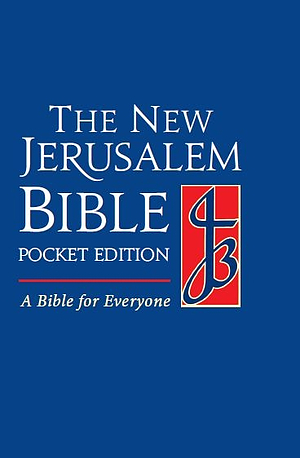 This handy-sized Pocket Edition presents the New Jerusalem Bible in an easily accessible and manageable form suitable for everyone. NJB Pocket Bible: Hardback was published by Darton Longman & Todd in March 1990 and is our 4453rd best seller. The ISBN for NJB Pocket Bible: Hardback is 9780232518900. Be the first to review NJB Pocket Bible: Hardback! Got a question? No problem! Just click here to ask us about NJB Pocket Bible: Hardback.